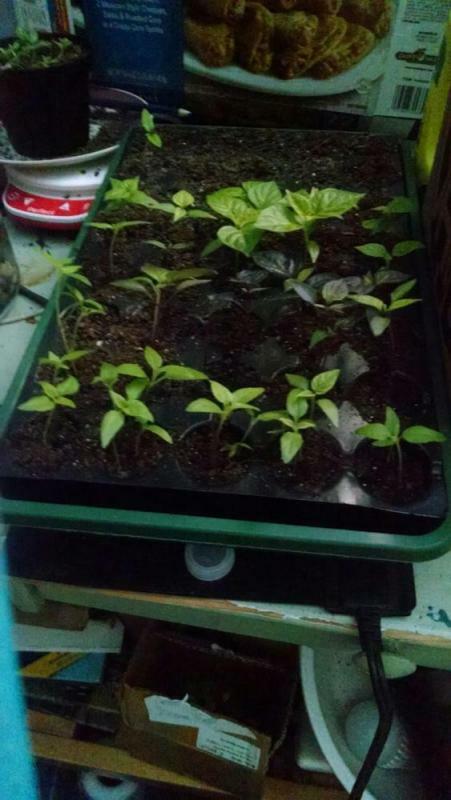 Is my first time seed starting peppers so I just wanted to ask if my peppers are doing ok in the picture. Thank you for your time. Yeah when did you start them? Look fine from here. Look good. may be getting leggy. what kind of light are you providing? Are you running a fan? They look good to me. I'd say it's time to pot up and give them some light.